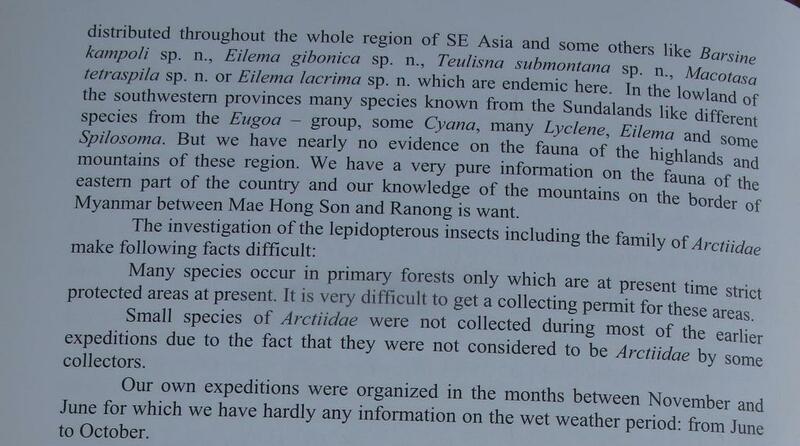 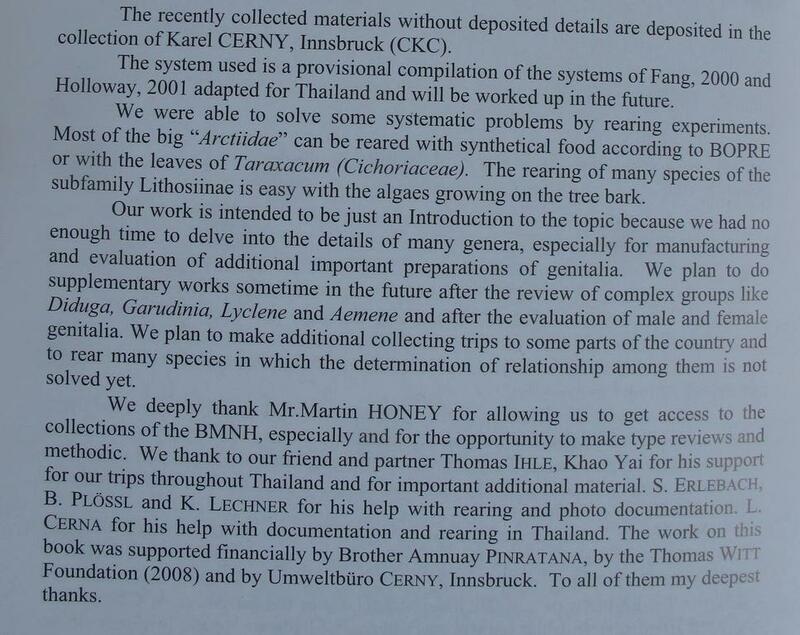 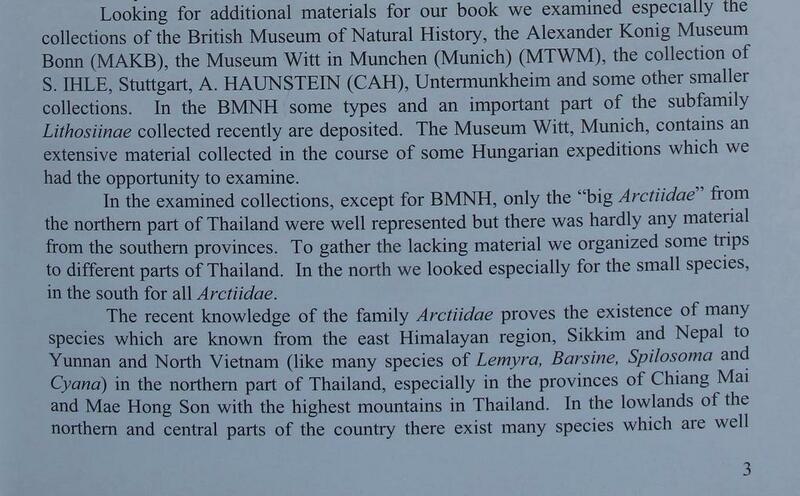 4 new discovered Arctiinae species from Thailand and Laos. 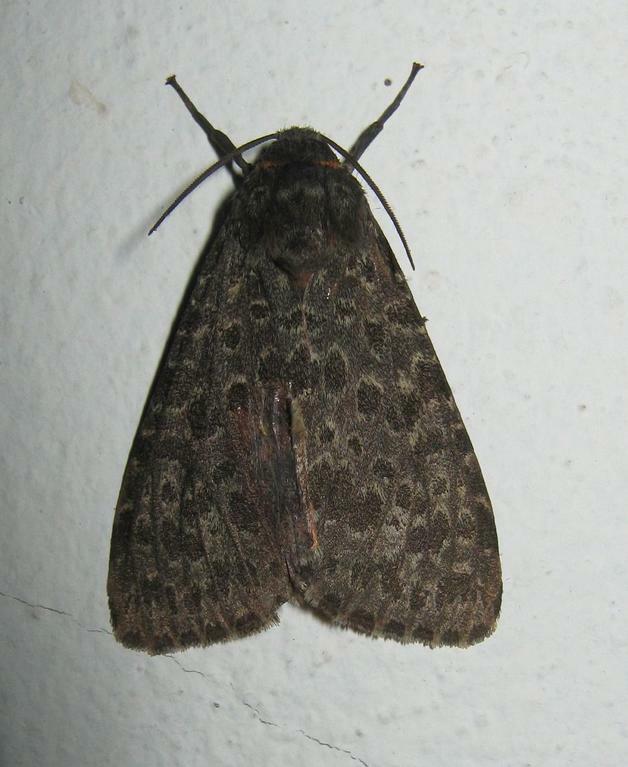 Olepa sp. 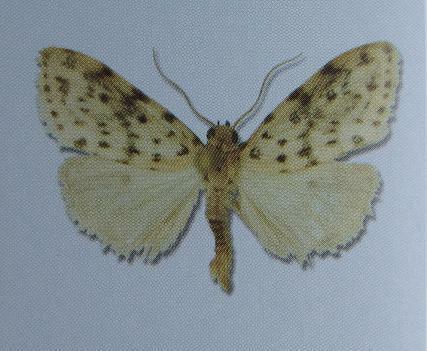 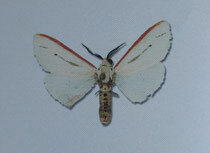 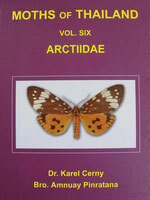 Arctiidae, was discovered in the last two years in Thailand. 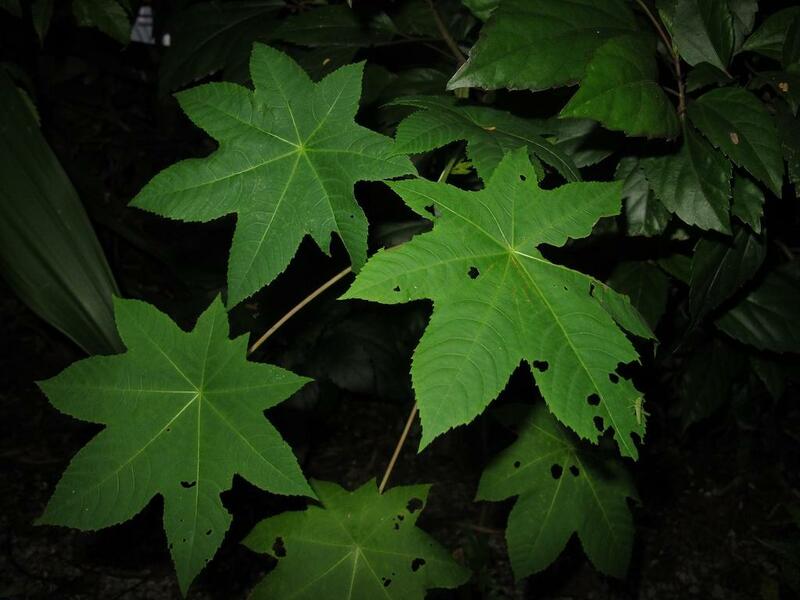 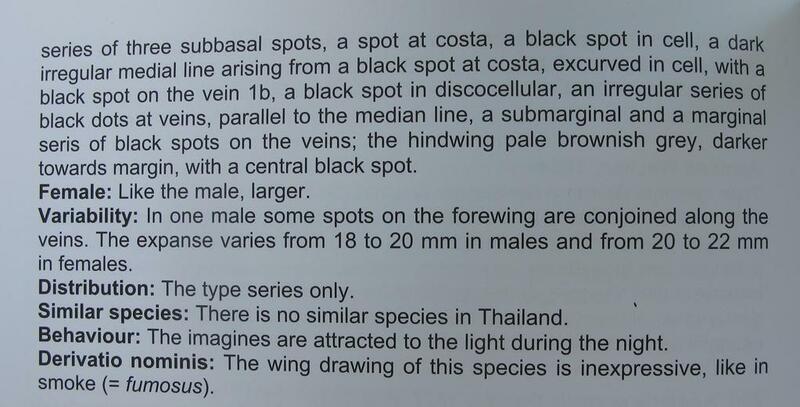 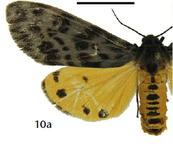 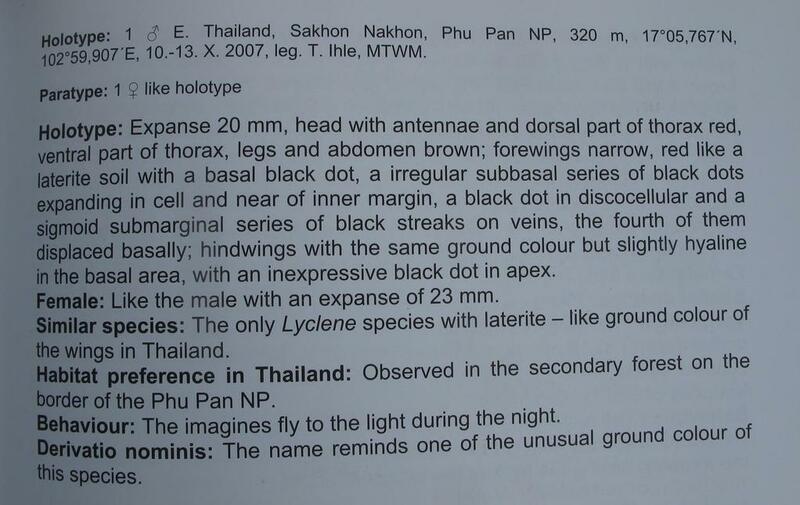 These is the first record of the genus in Thailand and maybe it’s would be a new species, genital morphology and mtDNA sequence analysis a necessary. 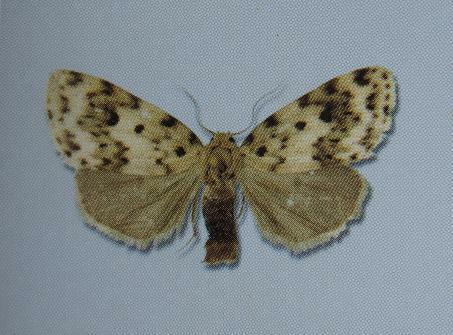 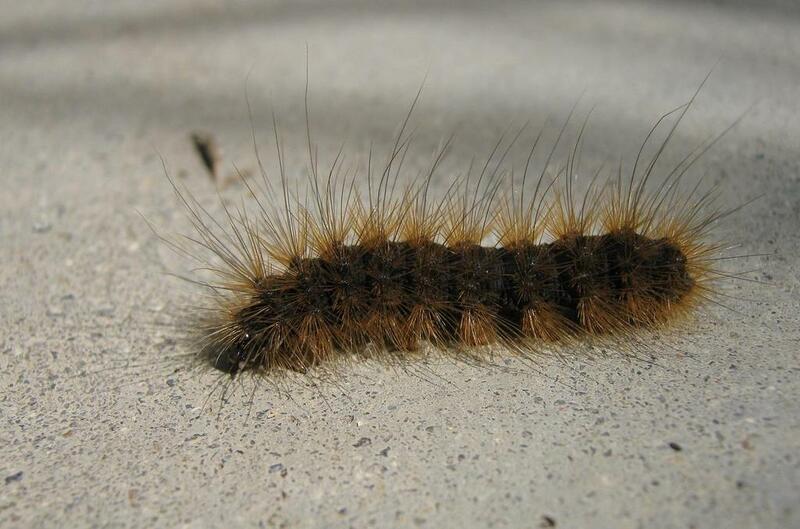 The most species of the genus will be found in India, Assam, Sri Lanka and one species in Israel. 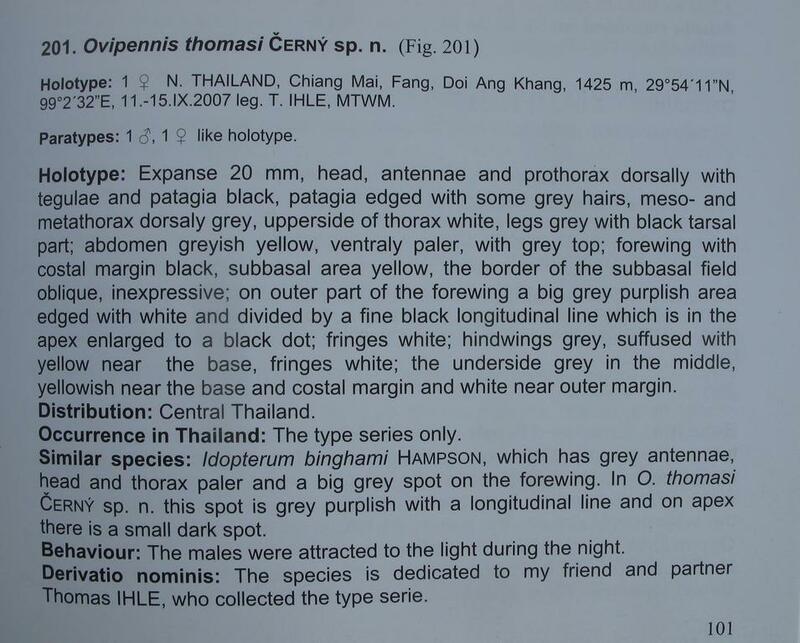 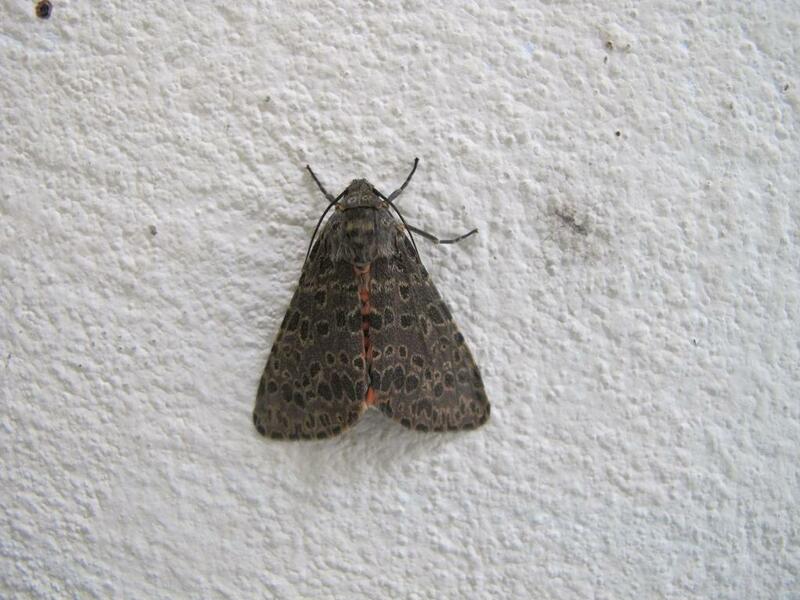 In August 2009, I see my first male of Olepa sp. 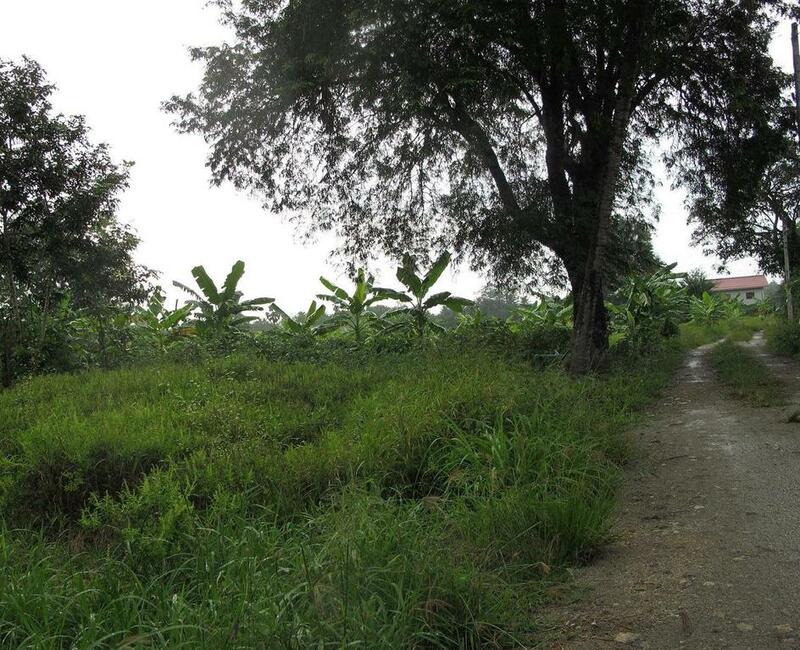 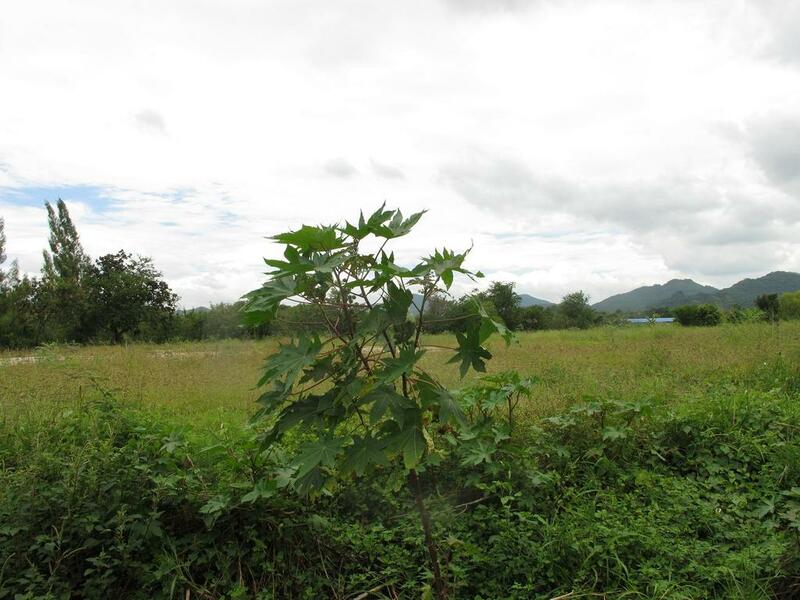 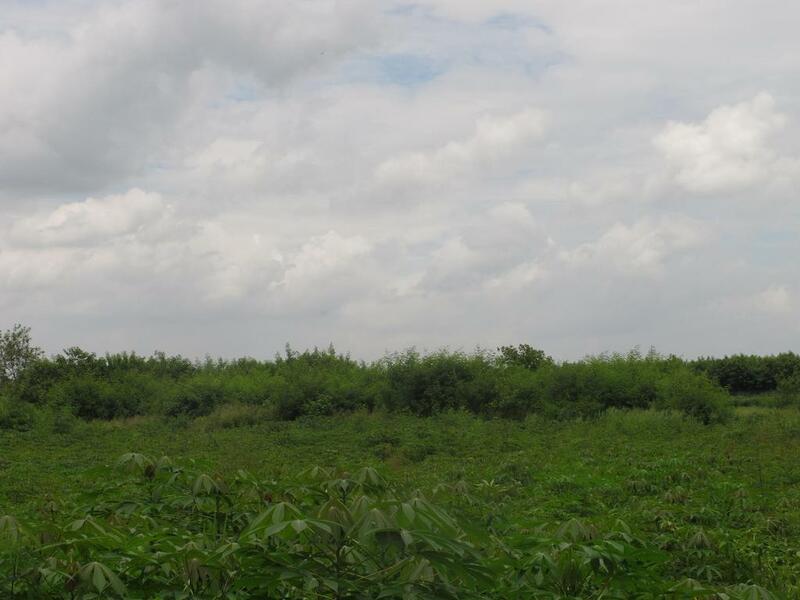 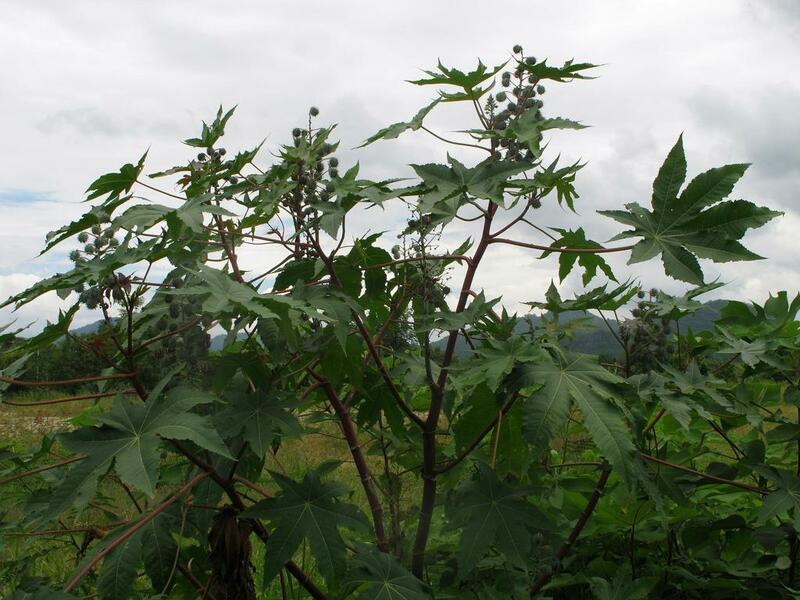 in cultivated lowland of Pak Chong, Nakhon Ratchasima province. 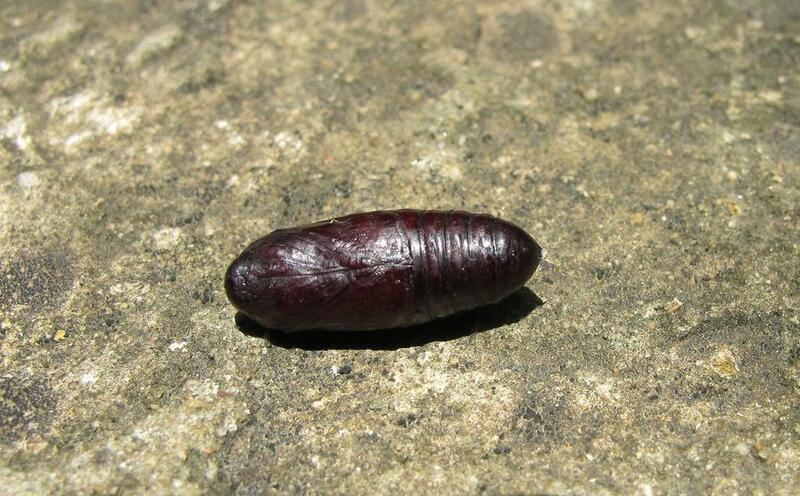 In November of the same year I could find some final instars caterpillars of the species also and after 2 weeks the caterpillars will be pupated, but only 2 from about 30 pupae the moth will be hatched the rest of them a parasitized. 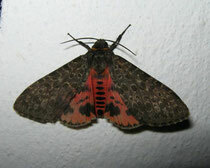 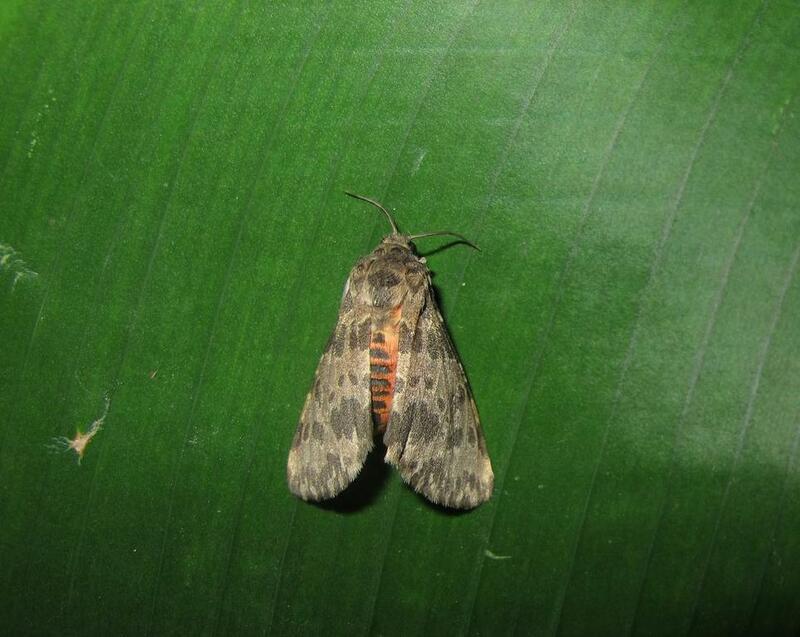 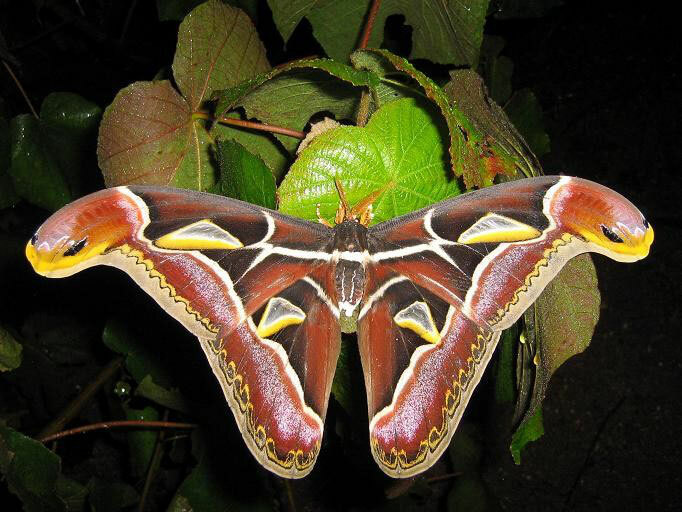 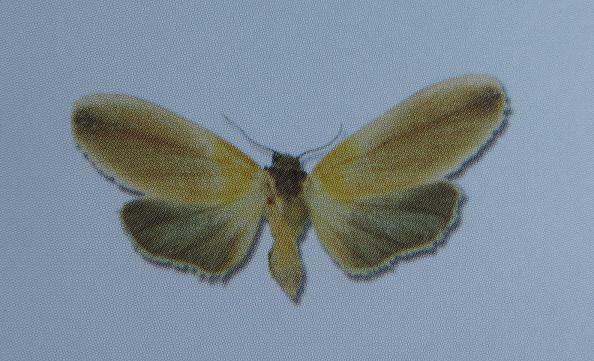 These 2 moths hatched after diapauses of about 6 months on May 2010. 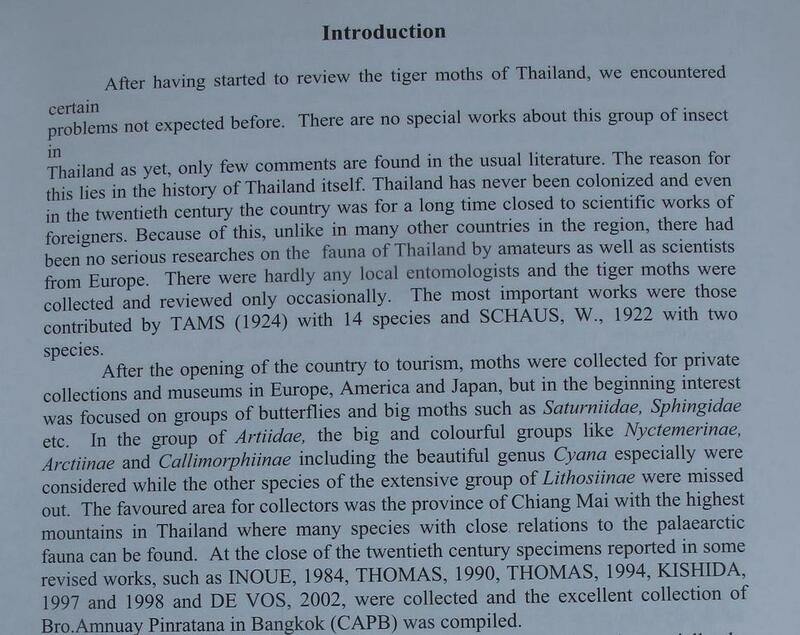 After them, I don’t see the species for more then one year. 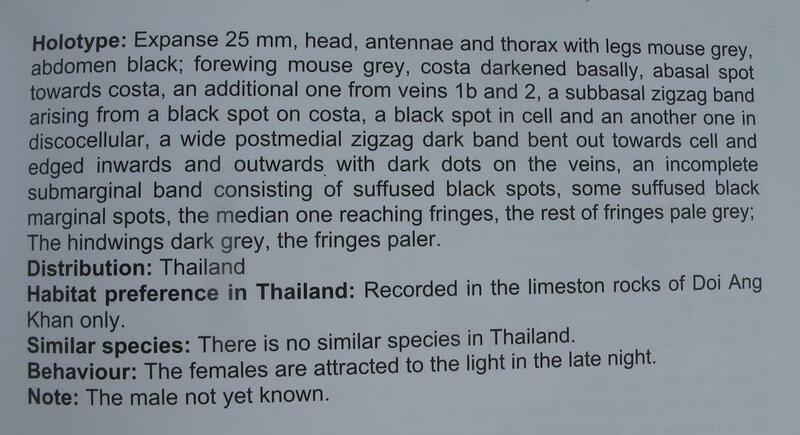 But this year in August 2011, I see the next male of the species.